How do i buy a puppy? The process is very easy. Please follow the steps below. If you have any questions along the way we are here to help out. 1. Fill out the application below. You can fill out the PDF, Microsoft word file, or copy the application on the webpage. 3. 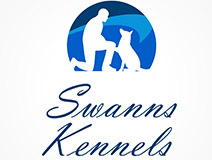 Swanns Kennels will contact you, to review your application. 4. If an agreement can be made between you and Swanns Kennels, then the contract below will be signed. 5. At the bottom of this page you can then pay your deposit, and balance to purchase your new dog. 6. Arrangements will be made for you to pick up your puppy. Seller and buyer are collectively known as "parties". Total of $ .00 Deposit of $250.00 is required to hold the dog of choice. This dog is sold as a pet. Pet quality simply refers to the dog being sold as a pet and companion only. This dog is not being sold under co-ownership terms. Payment in full must be made prior to you taking ownership or shipping of the dog. And those conditions are excluded from any guarantee and are not valid to reject the puppy due to these conditions. The buyer agrees to have the dog examined by a veterinarian at buyers expense within 3 days from the date of possession. If the veterinarian does not give the dog a clean bill of health, buyer must notify the seller immediately. Seller reserves the right to have the dog re-examined by a veterinarian of seller's choice at seller's expense. Any condition that is minor, correctable, or a breed related minor condition is not covered and any condition which will go away as the puppy gets older is not covered. We will not accept responsibility for any harm that comes to the dog once in buyer's possession such as heat related conditions broken bones or any other harm that comes to the puppy from neglect, abused or poor health conditions. Seller does not accept responsibility for contagious diseases diagnosed after 3 days from the date of possession. The buyer agrees to take good care of this dog, feed and house properly, maintain them up to date on all shots. The dog's outdoor area shall be safe and secure for the dog and everyone else. If the dog is found to be allowed to run free and hence creating a public nuisance or found to be neglected, abused or forced to live in poor health conditions the Seller has all right to repossess this dog with no refund to Buyer. The death, injury or loss of said dog due to theft, carelessness, recklessness, abuse, neglect, heat stroke or accident will not entitle the Buyer to any compensation from the Seller. This dog is warranted only for the purpose of being a companion animal, not for any other purpose or reasons. No warranty is given to the Buyer for any special purpose or function of this dog. This dog is not to be used in any illegal or immoral activities and absolutely not to be used for any type of puppy mill, dog farm or any other mass producing operation. In the event the Buyer can no longer keep this dog for any reason, the Buyer agrees to offer to the seller the first chance to take this dog back. In the event of a re-sale the Buyer must notify the Seller with the new name and address of the new owner. Buyer also agrees not to sell this dog to any retail company or establishment. Any changes to this contract must be in writing and signed by both parties. This contract is binding and may be enforced by legal means at the Buyers expense. All disputes must be settled in Salt Lake County in the state of Utah. This dog is sold to you as a pet only and nothing further. This is the entire agreement (2 pages) between the parties and is valid and agreed to by all parties. All parties have read and understood and agreed to this contract in full by signing below. If parties chose to use electronic signatures they are under the understanding that this is still a valid agreement.